For about fifteen years, Go Dairy Free has occupied a nice little space on the web, waiting for its moment to shine in the trend spotlight. Sure, there are many popular diets that have dairy-free as a component – vegan, paleo, and Whole30 to name a few. But those have so many rules and limitations. I’ve heard from thousands of people who found the most success when they “just” went dairy-free. And 2019 might be our year. 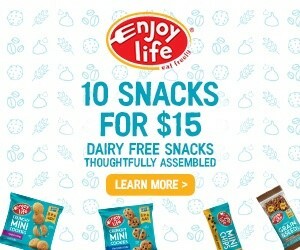 In the first two weeks alone, at least fourteen new dairy alternative product lines have been released. All of these new dairy alternatives are not only dairy-free, but also plant-based and vegan. 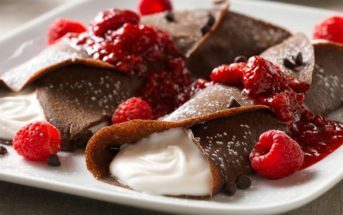 At first glance, they all appear to be soy-free and gluten-free, but verify the ingredients! Remember to always contact the company to discuss their manufacturing processes if potential cross-contamination is a concern for you. Ingredients and processes are subject to change at any time, and there are no guarantees, regardless of what the label says. Most dairy alternatives are manufactured in facilities that contain dairy, even if it isn’t noted on the packaging. This is why it’s essential to discuss manufacturing processes and allergen protocols directly with the manufacturer in situations of a severe food allergy. I’m actually a little surprised that it’s taken Blue Diamond Growers this long to get a creamer to market. But perhaps they were just perfecting their formula. That said, they’ve been a bit cryptic on the release of their new Almond Breeze Almondmilk Creamers. The ingredients aren’t available online yet, and they’ve only shared a few little details. It’s available in Unsweetened Original and Vanilla, has 10 to 15 calories per serving, and is currently rolling out to stores throughout the nation. 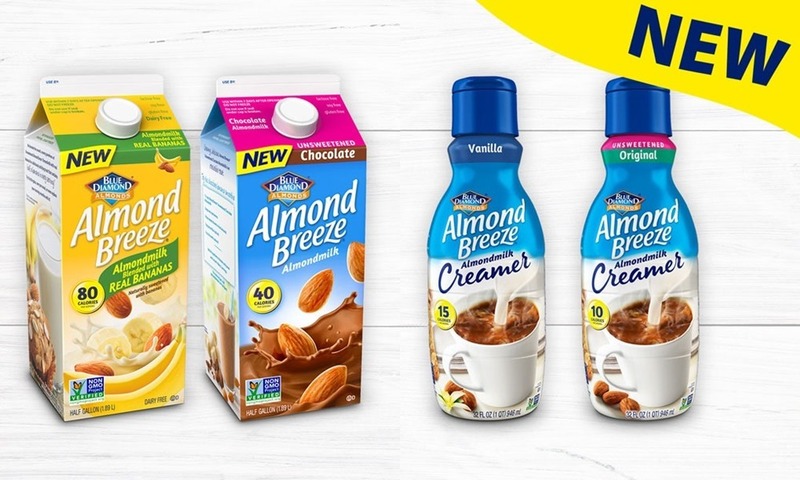 Blue Diamond is also jumping on the banana wave (a little late in the game, but never mind) with their new Almond Breeze Almondmilk Blended with Real Bananas. It contains about half a banana in every serving, is 80 calories per cup, and has zero added sugars. New flavor releases for Almond Breeze have been modest over the years, but you can tell they are very proud of this one. As a side note, they’re also upping their chocolate game in the dairy alternatives space with a new half-gallon Unsweetened Chocolate carton and a gallon-sized Chocolate Almond Milk. Oat milk is the buzz beverage right now, and this new Colorado-based company intends to take full advantage. The initial launch is small. 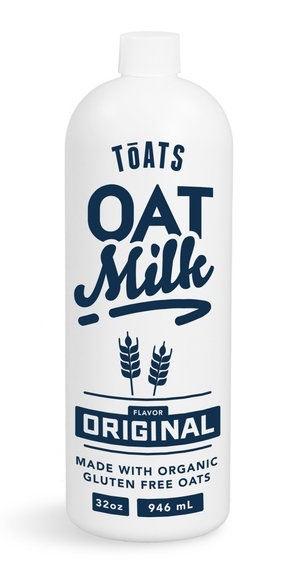 Their first product, Original Oat Milk, is now available in select stores. But they’re ramping up for online ordering and broader distribution. Toats is following Elmhurst’s mission with eco-friendly production and minimalist ingredients. Their oat milk is made by hand with just organic gluten-free American oats, water, dates, and vanilla. It’s reportedly great for smoothies, coffee, and even frothy lattes. I’m a little confused by the name (it made me think of the Kool Aid Man crashing through a wall), but Danone’s desire to get into the oat milk market isn’t surprising. And they aren’t entering modestly. 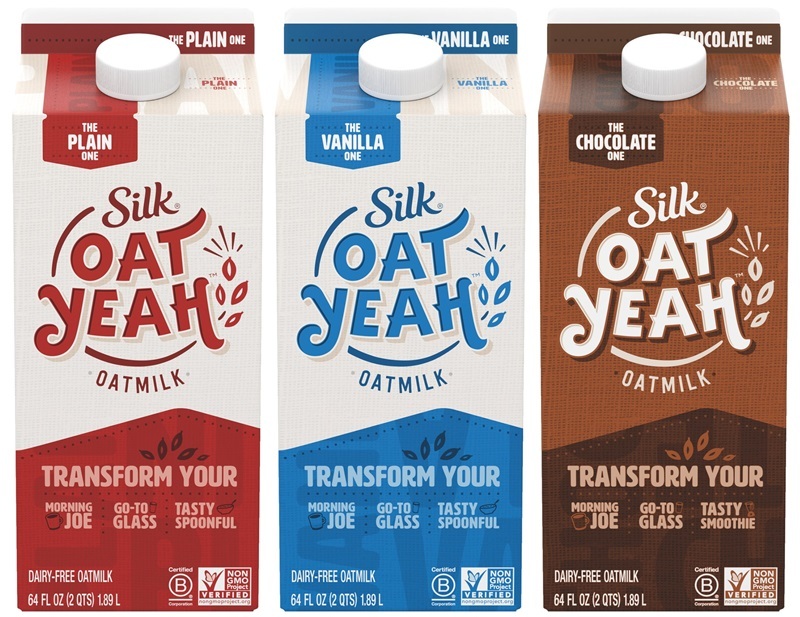 This creamy new line of Silk Oat Yeah Oatmilk comes in three flavors: The Plain One, The Vanilla One, and The Chocolate One. All three varieties are free of dairy, soy, artificial colors and flavors, and carrageenan. The Plain One is also made without any added sugar. But to be appealing for the mass market, they are fortified and do have emulsifiers and thickeners. You can expect to find these chilled half-gallon dairy alternatives at major retailers, like Target, Walmart, Publix and Sprouts. Danone has also launched a brand new dairy-free and vegan yogurt line under their Light & Fit product category. It’s called Good Plants Almondmilk Probiotic Yogurt Alternative, and it comes in four flavors: Vanilla, Chocolate Coconut, Strawberry, and Lemon Meringue. Good Plants boasts just 100 calories and 4 grams of sugar per single-serve container. 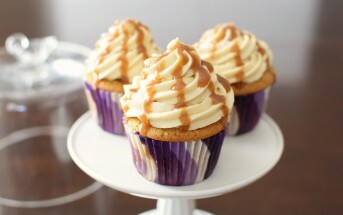 It is sweetened with just a little cane sugar and stevia. The ingredients include added fiber, protein, and three types of active cultures. But it isn’t fortified with calcium or vitamin D.
Technically, this product was announced in December, but the release wasn’t boisterous. And it seems like their real target for distribution was January. Right now, it’s launching regionally at select retailers. But you can probably expect to see it in more stores as the year rolls on. My subtitle says “yogurt” for simplicity sake, and so you understand what these products are. But Chobani has shunned the dairy labeling issue by not really naming their new product lines at all. One is called Chobani Non-Dairy Cups and the other carries the label of Chobani Non-Dairy Drinks. “You can’t call it a yogurt,” Peter McGuinness, Chobani’s chief marketing and commercial officer, told CNN. “We are being absolutely by the book because we think words matter.” But they are cultured just like yogurt and probiotic yogurt drinks. Chobani is so “by the book” that they also shun a dairy-free label, despite using all dairy-free ingredients. Their non-dairy products are “manufactured in a facility that also handles milk.” But most dairy alternatives are either manufactured in the same facility as dairy products. There are only so many factories! See my allergen note near the beginning of this post. The not-literally-yogurt cups come in the standard single-serve yogurt size (5.3-oz) in Slightly Sweet Plain, Vanilla, Blueberry, Peach, and Strawberry flavors. The 7-oz drinks are available in Slightly Sweet Plain, Vanilla Chai, Mango, and Strawberry. Both product lines are sweetened solely with cane sugar, are soy-free and gluten-free, and boast six different types of live and active cultures. And these dairy alternatives are rolling out to grocery stores across the nation as I type. There isn’t a lot of information about Califia’s new dairy alternatives yet, because they were just announced at the Winter Fancy Food Show this week. But you can expect to see Califia Farms Oat Barista Blend at coffee shops soon and Califia Farms Oat Milk at grocers in the spring. 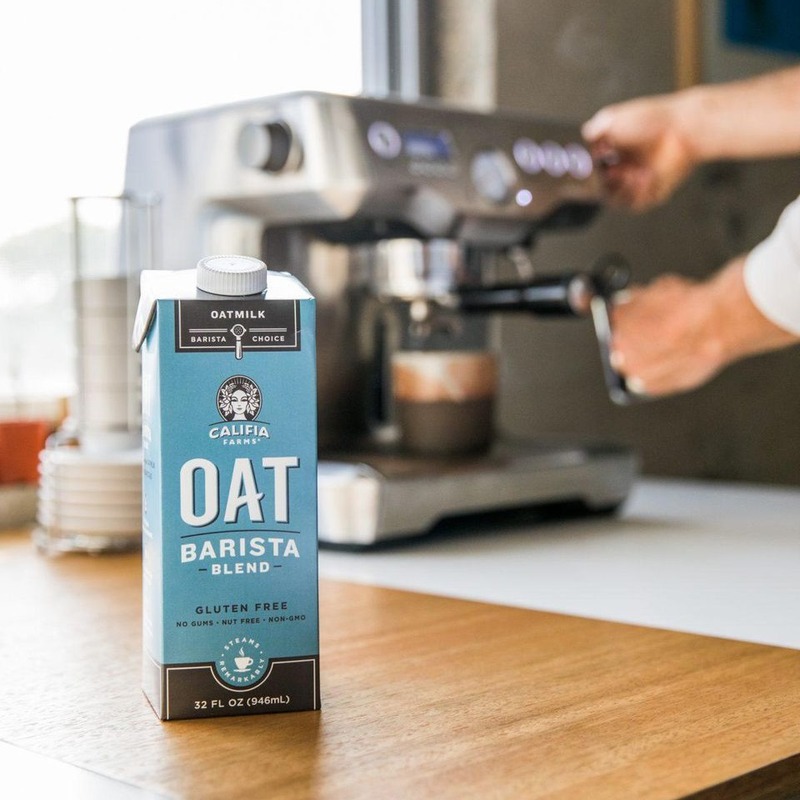 Califia reportedly started working on oat milk research and development about two years ago, and they’ve now “perfected” their Barista Blend. Their goals were to create the perfect mouthfeel, a neutral flavor, and creamer that works well for barista latte art. 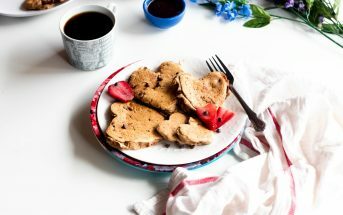 Are you attempting a dairy-free keto diet? It can be challenging, but this Los Angeles-based company has you covered. 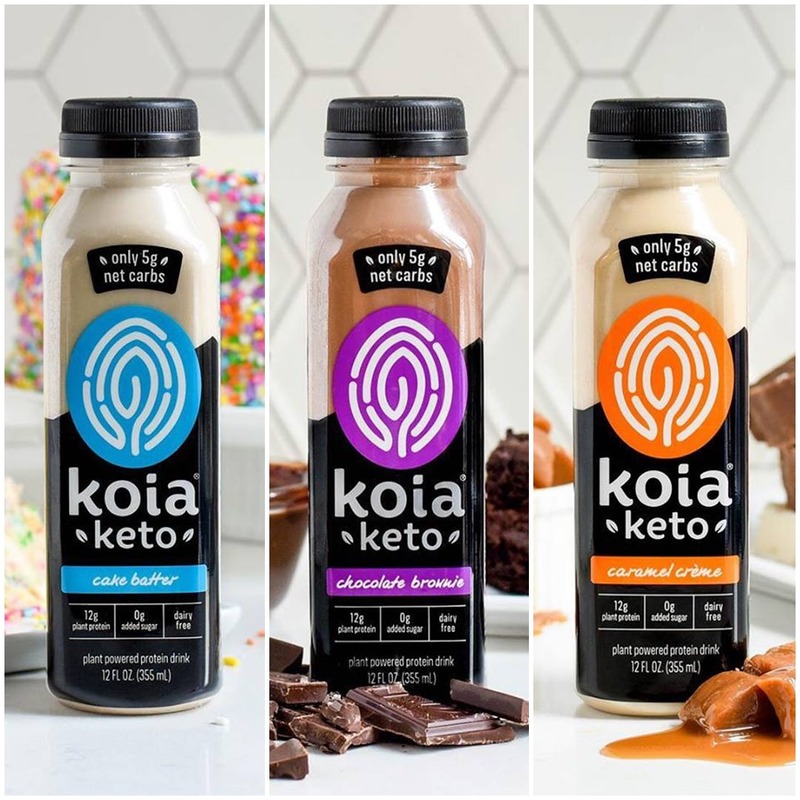 The new Koia Keto Plant Powered Protein Drinks come in three low-carb, dessert-inspired flavors: Chocolate Brownie, Cake Battter, and Caramel Creme. Each bottle of Koia Keto contains 12 grams of protein and no added sugar. And it’s made with nutrient-dense ingredients like coconut milk and MCT oil for sustained energy. It also has the desired ketosis ratio of 74 percent fat, 18 percent protein, and 8 percent net carbs. Loook for it at Whole Foods Markets across the U.S. This product literally snuck onto the market this month. You won’t even find information about it on their website or in any news releases. But it has started to appear at natural food grocery stores. 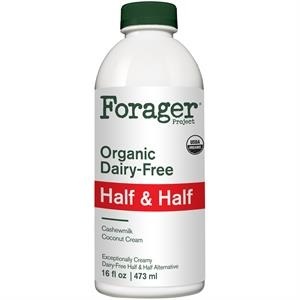 Forager Organic Dairy Free Half & Half is made from a blend of cashewmilk and coconut cream, and sweetened ever so slightly with dates. 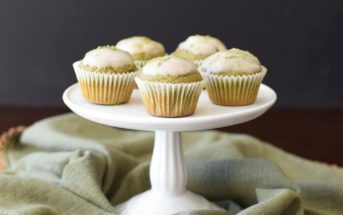 We’re assuming that the sweetness is very mild to keep it versatile for recipes. 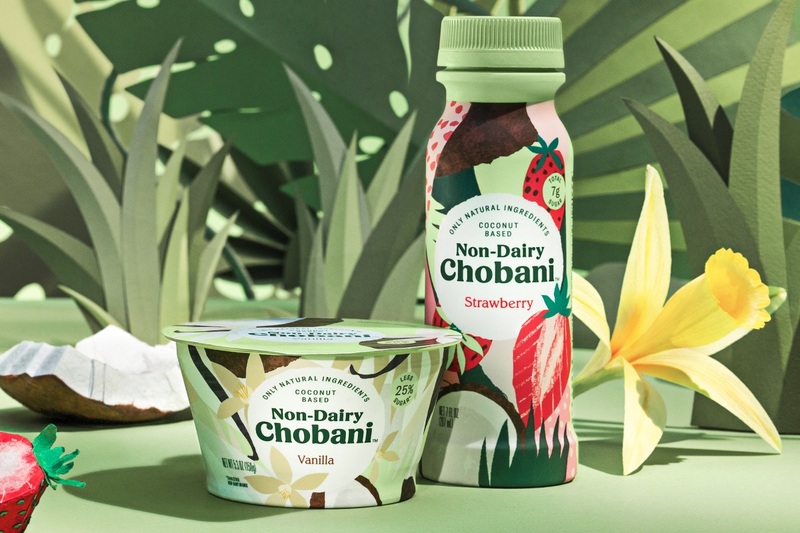 Apparently, Danone is “taking plant-based to the max.” This month, they’re launching a dairy-free yogurt alternative under their Oikos yogurt line too. They said we can also expect plant-based yogurt options under their Activia and Actimel brands later this year. And I even heard rumor about a kid-friendly dairy-free yogurt. 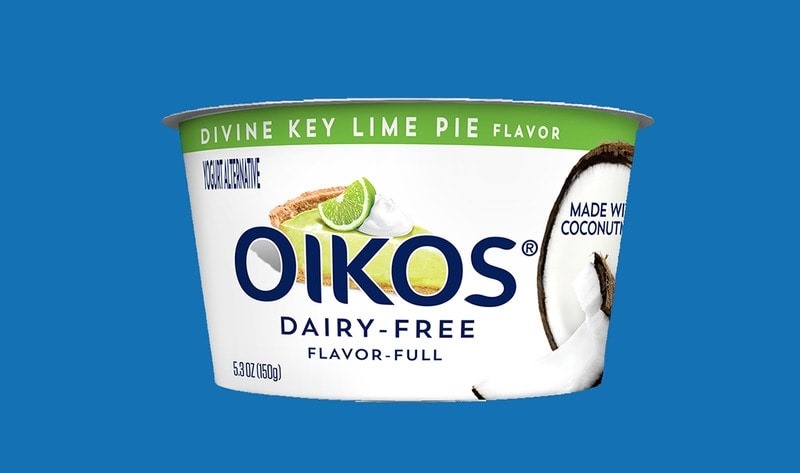 But for now, Oikos Dairy-Free Yogurt Alternative is coconut milk-based, and that’s about all we know for sure. 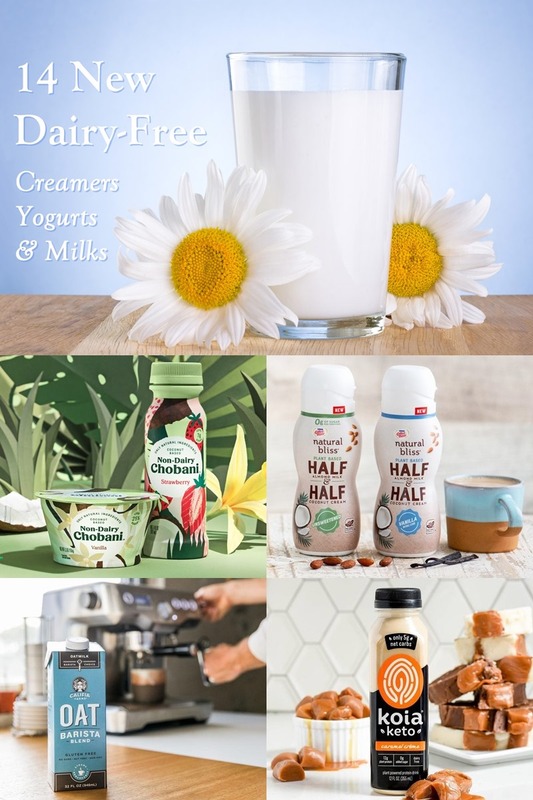 Coffee-Mate, a Nestlé company, has launched a few new dairy-free creamer products under their Natural Bliss brand. 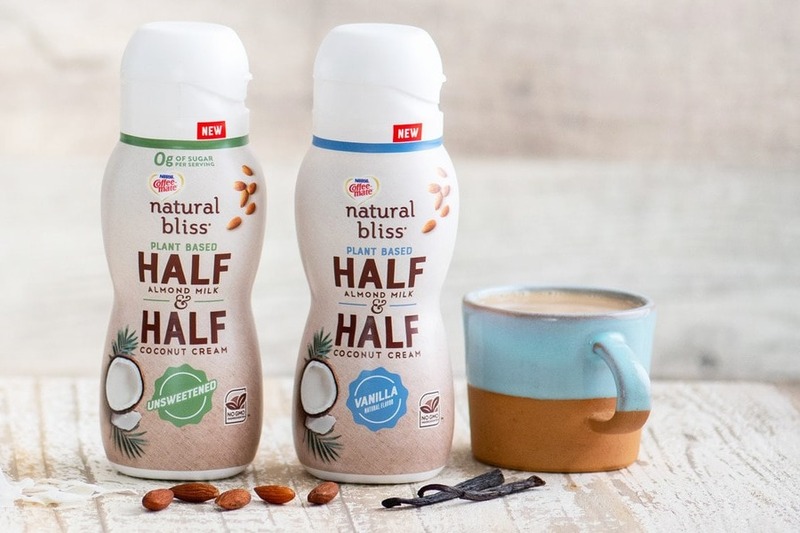 The Natural Bliss Plant Based Half & Half comes in two flavors: Unsweetened and Vanilla. This is a very creamy, vegan twist on classic coffee creamer with more versatility and a low sugar profile. The Vanilla has just 2 grams of sugar per serving and the Unsweetened has 0 grams of sugar. The base is “half” almond milk and “half” coconut cream. But of course, there are a few other ingredients. And for those who are tired of nuts and coconut, Natural Bliss Plant Based Oat Milk Creamer will be landing in the dairy alternatives section soon. I found #15 right after this list went live. The dairy alternatives never stop! And I’m personally excited about this lower sugar option: Daiya Coconut Cream Yogurt Alternative. The Plain has just 2 grams of sugar, and the fruit flavors have 9 grams of sugar – much lower than most dairy-free yogurts on the market. AND they’re sweetened solely with cane sugar. You won’t find any sugar alcohols or other sweeteners in these. They’re a little higher in fat than most brands, and are fortified with protein and calcium. My only wish was a better magnesium balance, but I won’t quibble. 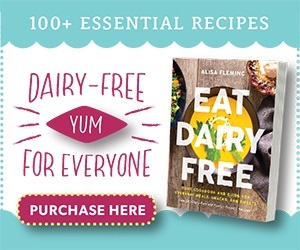 For More Delicious Living, Get Go Dairy Free! I’m overwhelmed by all these options. I want to try them all. I’m looking for a diary free yogurt that contains protein and not so much sugar that I stay hungry, and isn’t chalky. Am I asking for too much in the year 2019? Lot’s of good stuff here! So excited for these yogurts! Hopefully they aren’t as sweet as the Silk and So Delicious ones, they’re so sweet it’s gross to me. Your reviews sound promising! And I just added another low sugar yogurt from Daiya Mary – you might like those! So many new and exciting things! I’m hoping to find that barista oat milk. I haven’t had oat milk much but I’ve been switching things up as my stomach doesn’t handle coconut milk well being pregnant and usually go with a plant-based protein milk like Ripple. Coffee hasn’t been my friend most of the pregnancy, well the first part and now again starting to have some issues and thought oat milk might help balance it out yet not be heavy and I’ve be able to enjoy it. Also loving the dairy free yogurt options as my go to coconut milk yogurt got cut right away too. Pretty much a lot of high fat foods. I’m going be following you at Expo this year to get the low down on all the new products since it will be the first one I miss in years since that’s when Baby Boy is due. Ooh yes, you must have such a sensitive stomach right now Sarah! Pregnancy does crazy things. Hopefully some of these new options are a win for you. I am very excited about the no sugar/low sugar half and half! Natural Bliss products are the ones I can find consistently around here.